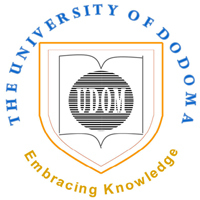 The University of Dodoma (UDOM) would like to inform all applicants with multiple admissions for the 2018/2019 academic year that, in order to secure admission into different study programmes offered at UDOM, confirmation by individual applicants is necessary. Confirmation of your admission MUST be done not later than 5th September 2018. An applicant must confirm his/her admission immediately after reception of a SPECIAL CODE that will be sent to the applicant tomorrow, 2nd September 2018. Dodoma City is located in the centre of the country (6°10’23’’S; 35°44’31’’E), 455 km west of the former capital, Dar es Salaam; and 441 km south of Arusha City, the cradle of the East African Community. It is also 259 km north of Iringa Municipality through Mtera. The City covers an area of 2,669 km2 of which 625 km2 is urbanised. Dodoma features a semi-arid climate with relatively warm temperatures throughout the year. Although average maximums are consistent throughout the year, average minimums drop to 13°C in July. The average annual precipitation is 570 mm, most of which occurs during the wet season between November and April, with the remainder of the year comprising dry season. The recently refurbished Dodoma Airport and the Central Railway Line connecting it over a distance of 465 km with Dar es Salaam serve the city. There are also major highways connecting Dodoma with Dar es Salaam (via Morogoro Region) to the east, Mwanza City (via Singida) to the west, and Arusha (via Kondoa) to the north. The University is located about 8 km east of the city centre, and is accessible by public transport, which is easily available from the city centre. Given the central location of Dodoma, UDOM is strategically positioned to serve applicants around the country and specifically Government and private sector employees living in Dodoma, who hitherto could not find training opportunities in the area. Such employees can comfortably utilise UDOM to combine work and study for their career advancement. Additionally, the geographical location and Dodoma weather render UDOM a convenient place for international students.